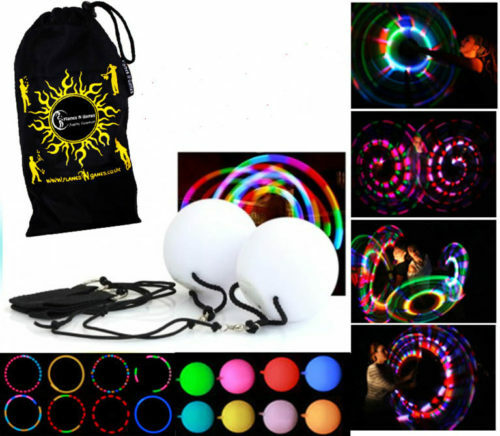 Multi-Functioning LED Glow Poi Set which incl.Batteries & Travel Bag! IDEAL for Kids & Young Adults! Multi-functioning LED Glow Poi Set which includes a Flames N Games Fabric Travel Bag & Batteries! IDEAL for Kids and beginners! 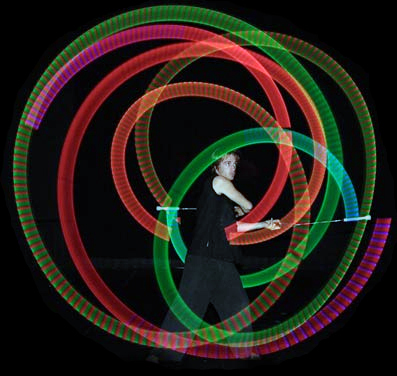 Child Soft & Safe – Lightweight Glow Poi, Great value set of LED glow poi that come with a number of fuctions to choose from single colours & slow fade colour changes! Simple and effective design, easy to use and very bright! 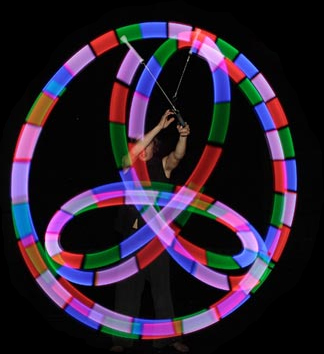 Great choice for a first set of low-cost light up poi. Ideal for indoor and outdoor use, great for playing with in the park, on the beach, at festivals and pretty much anywhere else you have a bit a space to spin them in! The squashy outer skin means that hits on the head are not painful! If you require replacement batteries for this LED Poi unit then follow this link to order some: Replacement Batteries – Please remember each Poi unit takes 3 batteries.